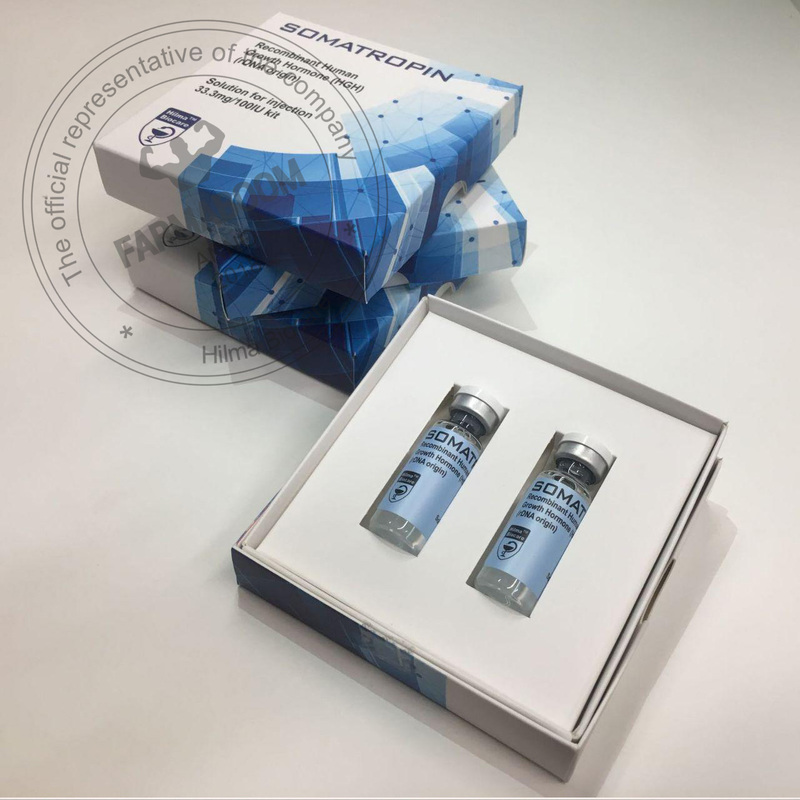 Somatropin [somatropin (rDNA origin) for injection] is a human growth hormone (hGH) produced by recombinant DNA technology. Somatropin has 191 amino acid residues and a molecular weight of 22,125 daltons. The amino acid sequence of the product is identical to that of pituitary-derived hGH. Somatropin may contain not more than fifteen percent deamidated GH at expiration. The deamidated form of GH has been extensively characterized and has been shown to be safe and fully active. Common names: Genotropin, Humatrope, Norditropin, Jintropin, Somatropin, Somatotropin, Nutropin. Info: Human Growth Hormone (HGH) is not only one of the most beneficial hormones our body produces, but one of the most sought after in exogenous form. In an exogenous form, HGH is identical to the naturally produced hormone, and represents not only one of the most beneficial exogenous hormones but one of the most well-tolerated among men and women. Its high level of toleration applies not only to medicinal use but performance enhancement as well. The use of Human Growth Hormone was first successful in 1958. At this time, HGH was a pituitary extract; it was directly extracted from the pituitary of human cadavers. In 1985, the U.S. FDA would ban its use. There is a theory that HgH is possible to use as PCT. While HGH can be useful, you will only be using it if you were using it on-cycle; HGH is something that must be used for extended periods of time, and there’s no point in adding it into a PCT plan that’s only going to last a few weeks. The drug can inhibit thyroid function which can reduce the result, therefore it’s recommended include in to the cycle thyroxine in a dose of 25 micrograms per day, during all cycle. It’s also can increase your level of glucose. Because of that, depends of dosage and duration of cycle you can add insulin to maintain normal glucose level.